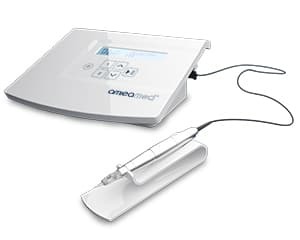 Other automated microneedling methods use a stand-alone handpiece with an integrated motor. These methods do not have the strength to penetrate into the dermis with minimal trauma. Revive can activate the needles at a rate of up to 150 hits/second. The frequency is adjustable, which is indispensable for introducing particles and substances into the dermal layer without tearing off the epidermis. Revive offers versatile possibilities in the field of microneedling and medical micropigmentation.